So I am getting closer to the two week mark. Things still seem to be going ok so far! I am getting a minimum of 30 minutes of walking in each day…usually more; luckily, 30 minute days are the slack days. I did skip yesterday…I didn’t do anything. It felt ok and I was glad to find that I really wanted to get out today after missing a day. Well, I didn’t actually skip a day since time travel has not yet been invented…or has it??? Technically…the day still happened, I was aware of it, I even had some experiences, annoyed my husband, washed some dishes and hung out at the hospital for nearly four hours…just not necessarily in that order or all in the same place. I just did not get out to do my daily walk. And that is ok, because it left me really wanting to get outside today! Which I did. We both went out and walked a few kilometres today, which gave me a few extra WW points to use up. Which is also ok because I fully decided several days ago that today would be a “cheat” day! 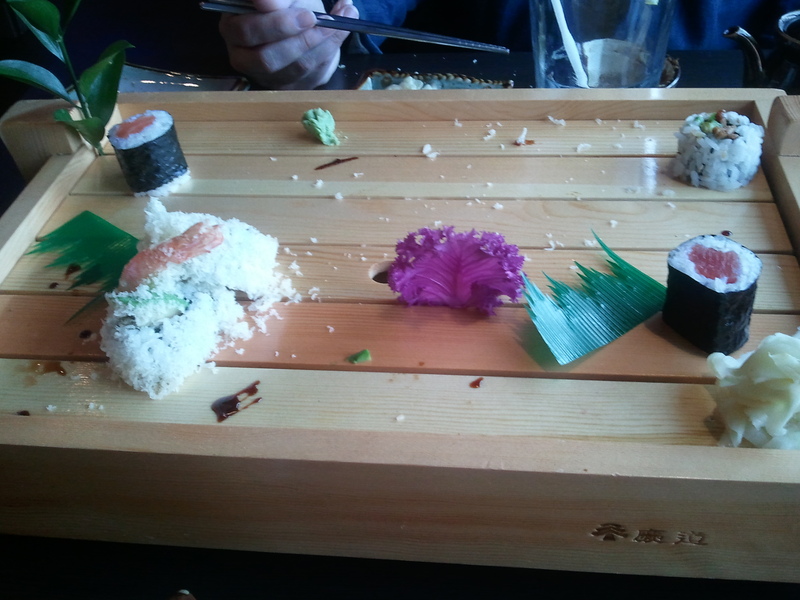 Our walk ended up at a Japanese fusion restaurant where we gorged on sushi. Once I added up the points in the tracker, I was pleased to find that was not the cheating part! 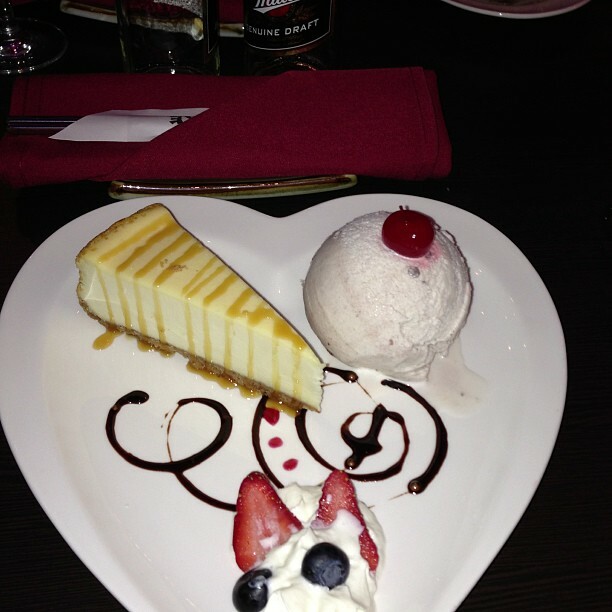 I think the cheating might have been when I had cheesecake with a scoop of vanilla ice cream for dessert. At least that is what I suspect. I could just be paranoid though. After all, I shared it with my husband, so I only had half; that negates all the badness of cheesecake, right? Right?? Hellooo?? The spoils. So good and so right! The cheat. So bad but ooohhhh so right! With the two week mark coming up, I do have to admit, I do not think I will find any more lost with regard to measurements this week. But that is ok, trudging onward is the key, no matter what! Keeping it simple, taking baby steps seems to be the right formula so far! With time, as I get more comfortable with it all, I will plan ahead when it comes to my meals, will post recipes up here and even highlight posts from some of my favorite blogs as I go!